Lawrence Ronald McCullough, Esquire served as an Assistant County Prosecutor in Burlington County, New Jersey where he prosecuted adult criminals in jury trials for over six years. He has tried numerous Major Crime Cases, including homicides and other serious felonies. Additionally, he’s served as legal advisor to the Special Investigations Unit in the Burlington Prosecutor’s Office. During Mr. McCullough’s time as Assistant County prosecutor, he met Mr. Joseph. In 1981, Mr. Joseph and Mr. McCullough formed a partnership and went into private practice as “McCullough & Joseph, Attorneys at Law.” Since 1981, both attorneys have worked side-by-side addressing a large number of issues, including workers compensation, motor vehicle accidents, slip and falls, real estate, municipal/criminal matters, and wills and estate. They have represented clients in numerous civil and criminal jury trials. Mr. McCullough is also a former Edgewater Park Municipal Prosecutor and served for many years as a Solicitor to Municipal Land Use Boards. His tenure as special counsel to fraud units of several large insurance carriers has help shaped his legal ability in handling cases of accident and injury. 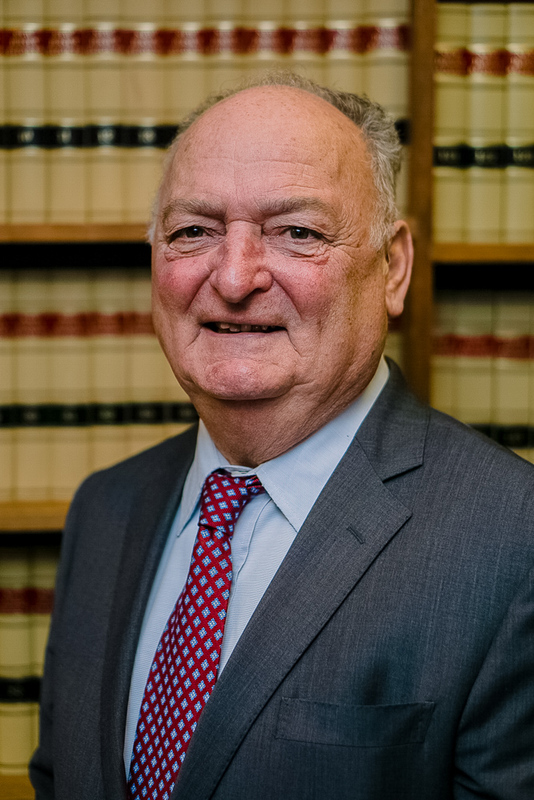 Mr. Mccullough was also appointed by the New Jersey Supreme Court as an Investigator, and later Chairman of the District Ethics Committee serving Burlington County, New Jersey. Mr. McCullough is admitted to practice law in the State and Federal Courts of New Jersey, the Courts of Maryland, and the Supreme Courts of the United States. Mr. McCullough’s loves spending time time with his friends and family. He also enjoys traveling with his wife, is an avid sports fan and an aviation enthusiast. Are you ready to hire the team at McCullough and Joseph? Visit our contact page by clicking on the button to get started.